As mentioned in my previous post on exploring .Net CLI, I encountered a problem doing “dotnet restore” on my machine. The problem is brew refusing to link openssl after I updating brew. Here is the old steps as instructed from dot.net website. After issuing the command “brew link –force openssl” I encounter this message from brew. deprecated system version while using the headers from the Homebrew version. This is the reason why “dotnet restore” is not working with getting the libraries to my machine. I even logged an issue on .Net CLI github to document the error. It seems brew developers blocked the “brew link –force openssl” command to openssl as noted on this brew commit on github. Since then dot.net updated their instructions to the following to fix the issue. It may be a short term work around as the original logged issue about the error on linking openssl is still open as of today. 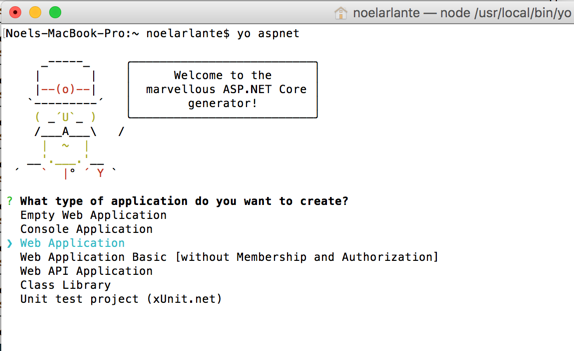 The good news is that you can now work with .Net Core with .Net CLI on Mac. Lets wait and see. Happy coding! It has been a year since I posted Taking Visual Studio Code and ASP.Net 5 For A Spin on which I tried to create a simple ASP.Net 5 web application using the then just released free Visual Studio Code. Microsoft also released in Beta that time the new .net framework based which called DNX which is now known as .Net Core. 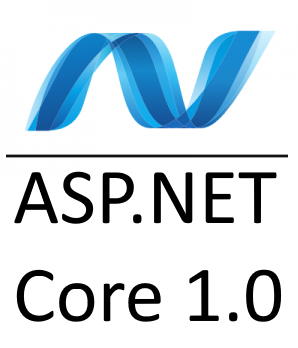 In this post, I will try again to create simple web application using the new .Net Core. I will use Yeoman to help me with the scaffolding of a new web application. After yeoman generated a web application for me, a confirmation message is displayed that the new project is now created and I can do now a “dotnet restore”. Going to the new web application directory I issued a command “dotnet restore” but I got a command not found error. I updated my Visual Studio Code just hoping to get an updated version of the framework along with it but to no avail. Microsoft released last June of .Net Core 1.0 and along with it the new Dotnet CLI. 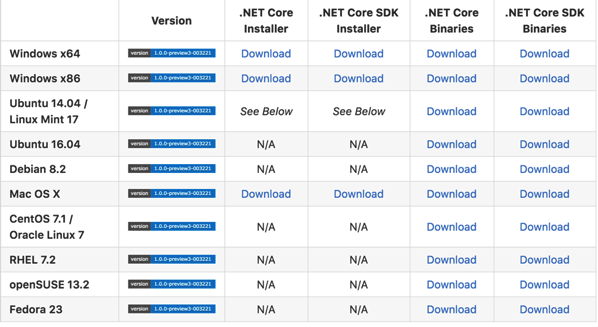 The DotNet CLI is included if you install the .Net Core SDK Installer. There is also a separate installer for .Net Core only. Some hiccups along the way of updating my openSSL and brew. Need to execute “xcode-select —install” command to update. This is somewhat related to the El Capitan macOS that I have on my mac. Sidenote: “dotnet restore” still does not work. I’m getting an error related to this question posted on Stackoverflow . I’ll post an update once this has been resolved.